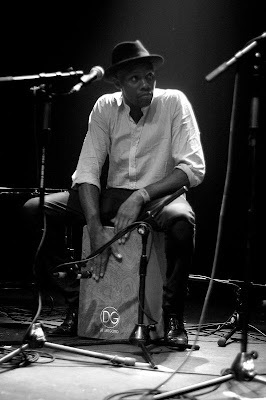 GARY POWELL - "THE COOL GUY"
Gary Powell, known as the Libertines drummer is (no doubt) a special character in the musical Universe. I had the chance to meet Gary back in 2005 in Lisbon where the Libertines performed on of their last shows. It was a brief contact at the time but we manage to keep in touch until now. It is for me a great asset to have the chance to publish this interview that keeps us in touch with Gary’s musical roots and his actual main projects. But, above all confirms that we must keep believing that the best way to understand each other’s is by communicating as equal partners. Gary was a Father recently. Another reason for me to appreciate the timing on his reply to this “call”. As for myself I can only wish the best vibes for Gary and his son Wolf. I saw the “one eyed monster” interview and there’s something there that caught my attention. It’s hard for you to understand all the fuss around rock artists, - “It’s cool but I don’t understand..”. When i met you back in 2005 i kept this idea that time would prove it and in a recent dinner with producer Jake Fior would again set that profile. Gary is the cool guy, the one that keeps the “balance”. Is it really hard for you to handle and understand some parts of being in a rock band? It isn't really hard at all to keep the balance between performing artist and just being a guy on the street - in fact it is good to make that differentiation! It helps to make every time i get up on the stage special as opposed to it all being under one banner. Every person that does anything creative has an ego and the trick is control it. Use your ego for good not evil as i prefer to say. Plus the knowledge that just because i play in a band doesn't make me any better than anybody else - and to be honest, i have met people who do nothing in the way of performance that have impressed me more than any rock star! You started as a musician very early in Canada I believe. Tell us a little about your past and background. What are really Gary Powell’s musical roots? To be honest i started of playing at home at my parent’s house when we lived in Birmingham. i was lucky enough to have parents that nurtured creativity - just as long as my school work was up to scratch! My real learning curve began when i was in Canada though in an organization from Kitchener Ontario under the instruction of Brent Montgomery and Rod Meckley. They really got me into reading and taught me the basics of interpretation. From there i went to New Jersey and was taught by tom aungst at the cadets of Bergen County. He and Willy Higgins really whipped my hands and mind into shape and if it wasn't for them i would not have the industry that i have. The good thing is though what they taught me had nothing to do with how i approach drums now, but music in general as all the music we were doing was of a contemporary jazz or classical nature. This really helped me develop a thirst for more obscure music and different approaches to playing. from there i went on to freelance as a percussionist back in England for a year before i returned to the states to teach on the road and at St. Mary’s area high school, St Mary’s Penns. It wasn't until the late nineties that i even attempted to play anything that would called popular - but by then my first for all kinds of music had filled my library with music from John Adams to wire. Since DPT’s are past, what are at this time your main projects? Since the demise of DPT i have started a band of my own and am doing all the writing (thus far). It is still rock and roll (i guess) but is coloured slightly differently. I have also been writing sound track for the fashion designer Todd Lynn. I’m showing a video from your Drum-Tech Master class performance at the blog’s video player. I hope some future drummers will read this piece. Please explain them what you do at this meetings. The master classes i do are pretty simple in there structure. I talk mainly about i how i approach performance, practice, rehearsal and the music industry. the importance of finding your own musical voice is something that i try to point a out as much as humanly possible, plus the interpretation of how you approach your chosen instrument will have a great deal to say with reference to your overall sound so i go over a lot of what i call 'basic interpretation and break it down so that it is palatable to everybody in the audience, because that is what all music should be, palatable. It’s a festive day in my town. At the time I’m writing this lines there’s fireworks outside. You listen to a lot of sounds during the day (I’ve also saw that interview). Are they a major key for your inspiration and after that for your drum performances and practice? Man i listen to so much crap it is ridiculous! Right now as i answer these questions i am listening to the beach boys, but previous to that i was listening to Bernard Herman’s vertigo and a bunch of over stuff including Billy Joel! I try not to be a music snob - all though i know that is hard. Good music is good music from wherever it comes from and we can all gain so much from listening to as much as possible. I firmly believe that all of life's struggles can be answered, with a song. How was the experience with New York Dolls? How did you get invitation? Being American, what are your thoughts on the actual American policy towards Europe and the rest of the World? Obama is saying that the other Nations must take a step forward also…..are you happy until now with this change? I pretty much consider myself as being English, i have an English passport and went to school here until i was 15. All be it because i have a lot of family still in the states dotted from New Jersey to Arizona i am in touch with all my family and with American politics and am a member of Democratic Party in New Jersey. with regards to America’s ascendancy to the thrown of second most hated nation by the axes of evil (Britain is number one), the American public in general know the error of their ways and are on to a good thing with Obama. of course only time will tell but he seems to be a man of great integrity and one that seems to see the bigger picture - that is one where America is a member of the nations all contributing to a better world for us all. 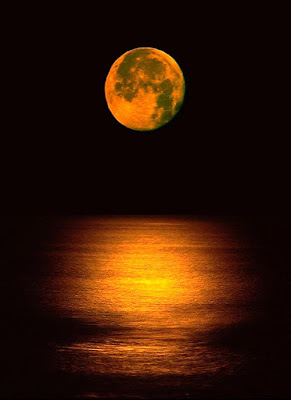 Now that we are at the festivals season, wich means less posts on this blog of yours, i decide come around with the help of the "man on the moon" anniversary. Have you ever thought about the tunes that were inspired by the moon? Take a look at the bellow link, taken from "Blogcritics" where you can find 28 examples.